Happy Friday friends! 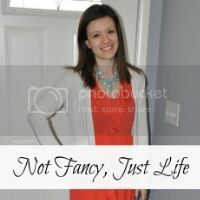 You may remember last summer I did a blog series with Ada of Elegance and Mommyhood called Budget Babes where we took different trends for summer and made them our own for a budget of $75 for our entire outfit. It was a lot of fun coming up with creative outfits! This time around we are joined by Rachel of Garay Treasures to bring you some thrifty spring looks! Today's look is all about pastels. Don't these two ladies have the cutest spring looks?? Anyway, I like the dept the chambray gives the outfit. It breaks apart the overall pastel feeling so I don't look too much like an Easter egg :) It's the perfect outfit for a casual day of running errands or seeing Cinderella with your mom and sister (which is a great movie by the way!!) I'm also reusing this tee from last year's Budget Babe's graphic tee day. 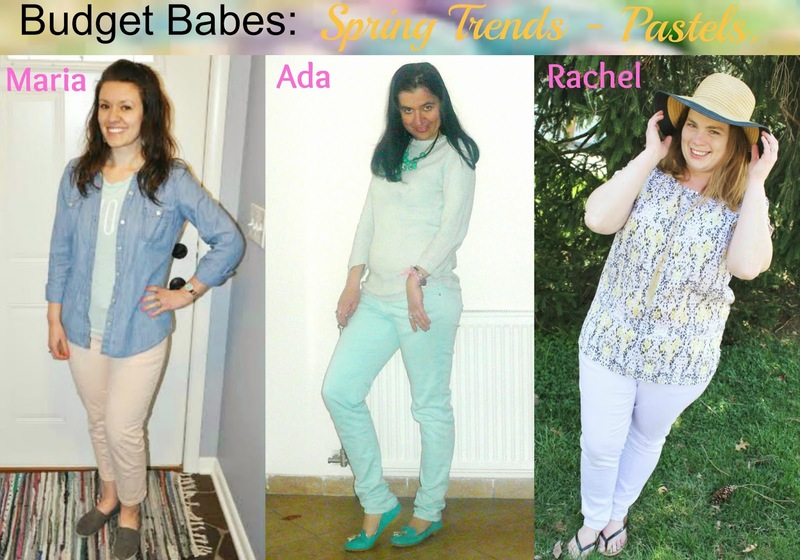 Make sure you check out Ada and Rachel's blogs to see the lovely pastel combinations they came up with! And come back next Friday to see how we style loafers on a budget! 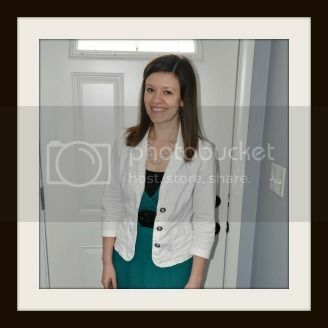 I love your look, and very budget friendly, I love Old Navy and Target and I love that some of the items were a gift as well. You look lovely Maria. Old Navy and Target definitely are a great place to find items on a budget! I used to be wary of wearing certain colors on my bottom half since I'm a pear, too, but I've found that I can offset it by wearing something of interest on top - whether a statement necklace or a print top. That is a good point. It's funny because I have a pair of white capris that I don't mind at all, but I suppose it's all about how the piece is constructed! This is such a great series! Great price for that outfit! Chambrays just go with everything don't they? What a fun collaboration! The light pink jeans and chambray look great together! You look fab! What a cute outfit. I am so close to buying pastel pink skinny jeans. Love that you incorporated more pastels via your graphic tee and this whole outfit's price is perfect. We started the series off right. I totally love the idea of pastel pink pants, but I haven't been able to find a pair I like in person. I love how you wore yours with an open chambray shirt, too - it's a look I wear pretty much every weekend, haha!